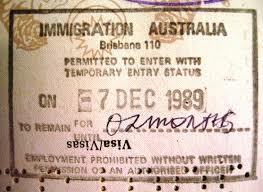 The latest Migration Legislation Amendment by the Australian Government means that it is no longer possible to have a visa label put in your passport. Therefore, Employers can no longer rely on visa labels as being proof of immigration status … they need to be checking immigration status through an approved online service. Our cloud-based immigration compliance system (specifically designed for businesses) makes complying with the Employer Sanctions Legislation a breeze! You can request a demo of vSure’s immigration compliance system to find out more.